You may have done a double take on this photo. That is not a ladybug. 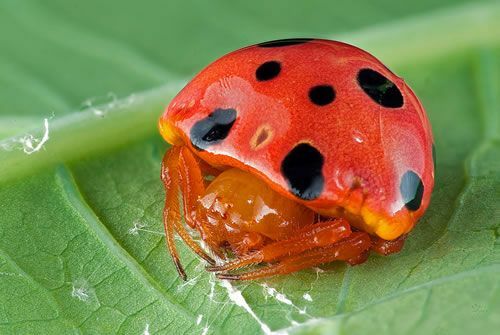 This gentle non-venomous little spider uses the red and black colors to make other creatures think that it would taste as bad as a ladybug. This spider lives in central and southern Europe. Happy National Save a Spider Day!